Jerry Pinto, Nasera Sharma, Prabha Varma, Kamal Vora and Paramita Satpathy are among others who were awarded. 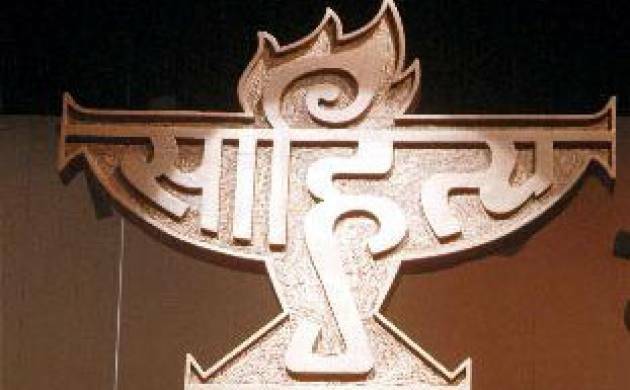 Twenty-four eminent authors writing in as many Indian languages were on Wednesday conferred the Sahitya Akademi awards at the annual ‘Festival of Letters’. The recipients were awarded a cash prize of Rs 1 lakh each for their “outstanding books of literary merit”. Distributing the awards, Akademi President Vishwanath Prasad Tiwari said he hates to call it “award” and rather uses the word “honour”, as according to him the word ‘award’ projects “monetary” side, which is nothing for writers of such merit. “In medieval times, Raja Inderjeet Singh rewarded Acharya Kheshavdass Mishra with some 20-odd villages for his writing, and one can quote so many instances like this. Now thinking of those days, this monetary award ranks nowhere. “That’s why I say these writers are beyond any award. We, on our part, can only honour their writings and creations in ceremonies like these,” Tiwari said at the award ceremony. The awarded literary works have been written in 24 Indian languages, including English, Hindi, Bengali, Urdu, Sanskrit, Bodo, Kashmiri, Manipuri, Nepali among others. Calling “literature” as one thing that is not limited to any particular topic, Tiwari said the only thing that makes a writer write is their unique “capacity to look beyond themselves”. “Writer is someone who does not differentiate. For them, things like caste, community, or region do not exist. It is not that government or an authority mandates them to write, they write because they can think beyond themselves. “They can choose any topic, for that matter the topic can be ‘death of a bird’, which as an issue might not matter to many. Those who are self-centered can never become a writer is what I believe,” he said. Also, comparing between “talent” and “mediocrity”, giving example of the Akademi itself, he said people criticising Akademi for “mediocre” people making into the Akademi should first know the real difference between the two. “Talent is a god-gift which only a few in millions get. On the other hand, working on your own skill takes time as you have to put the hard-work into it. “I can say this that all the writers getting felicitated today are hard-working, they have put their everything into their work. Those who criticise Akademi, should understand that the real work of Akademi is to give platform to as many young writers, and not just selected few,” he added. The Chief guest of the award ceremony was distinguished physicist and Marathi writer Jayant Vishnu Narlikar.